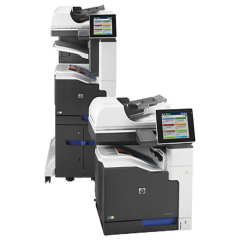 The ProXpress M3820DW produces high-definition prints at a fast printing pace for maximum business efficiency. Its double-sided standard automatic duplex option allows for professional printing of commercial booklets and pamphlets. This Samsung printer features an Eco button, which automatically sets off duplex or 2-up printing. • Powered by a Cortex™-A5 core processor, for top productivity and up to 256MB of memory available. • Additional printing choices for professional documents. 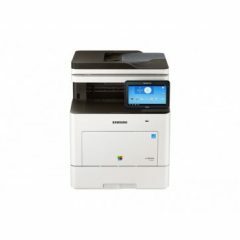 We have both the SL-M3820DW and the SL-M4020ND laser printers with the goal to increase printing efficiency in the office. So we got to comparing both one day, betting on which one is better. Everything is basically the same except for the printing speed. SL-M3820DW prints up to 38ppm in A4 (42ppm in Letter), while the SL-M4020ND does so in 40ppm. I’m not sure if it makes a huge difference in printer speak, but, as the saying goes, every second counts. There’s no problem with printing efficiency, however. And the fact that printing can be done wirelessly, makes everyone’s lives a lot easier. But there’s one area where the specs on paper doesn’t coincide with the printer performance. Although it says that firs page out is ready in 6.5 seconds from cold, I’ve experienced longer delays, like 5 or 10 seconds more. It doesn’t always happen, but it can get frustrating when you’re beating a deadline. 5-second delay makes a huge difference under those circumstances. Overall, however, the printer works as expected. It’s specifically assigned to our department, and the IT people set it up in such a way that bottlenecks are avoided and that people from other departments don’t have access to it. When it comes to customer support, Samsung’s could use some improvement. Quick response is often all we need. Good thing we can ask help from the retailers that sold us the printer. I have to say their techs are so much more responsive, and are always available to help us out.